Tax day is upon us! As we tie a bow on the first tax season using the new tax laws, here’s a fun tax quiz you can use to impress your friends with some quirky state tax knowledge. 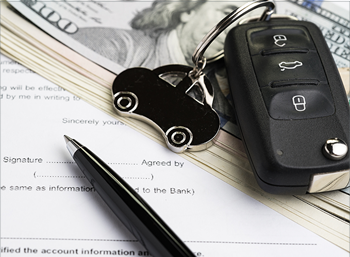 This issue also includes handy metrics to track your business performance, tips to help you decide if you should buy or lease your next vehicle, and five big questions people are asking as the tax deadline approaches. Think taxes are simple and filled with common sense? Think again! 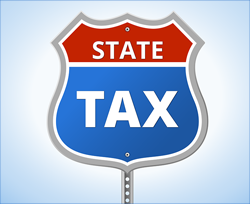 Enjoy this fun quiz to see how well you know the crazy world of state taxes. If you have a hankering for an apple or banana at work, you’ll pay an extra tax to buy fruit from a vending machine in which state? C. California. Cold food is tax-exempt if purchased at a store, but subject to tax on 33% of the price if you purchase fruit from a vending machine. If you sell fruit in this state…good luck keeping track of the tax. Looking to finally get that “mom” tattoo on your arm? Which of these states charges a 6% tax on that tattoo? B. Arkansas. Body piercings are also taxed at 6%. So if you are waffling between getting that tattoo or a nose ring, you can eliminate taxes as a deciding factor! Have you ever looked at a tree in your yard and thought, “wow, that tree sure is exceptional”? If you have one of these “exceptional” trees on your property you might be entitled to a $3,000 tax deduction in which state? A. Hawaii. Worried about how new developments were destroying the environment in the 70’s, the Hawaii State Legislature added the tax deduction for expenditures paid to maintain an exceptional tree. Next time you are at a bakery in this state and the baker lifts the knife to cut your bagel, stop them. It could be a taxable event! Can you name the state? D. New York. Slicing a bagel meets the state’s definition of prepared food and is subject to an 8 percent sales tax. That goes for applying cream cheese as well. Looking for a long-term retirement tax-savings tip? Which state exempts you from state taxes once you turn 100? As you enjoy the nice spring weather, spread some of this fun tax knowledge with family and friends. Add up your total cash, short-term investments and accounts receivable. Then divide that total by your current liabilities. This is your quick ratio. It’s a simple way to see if you have enough funds on hand to pay your immediate bills. A value of 1.0 or more means your liquid assets are sufficient to cover your short-term debts. A value less than 1.0 may mean you’re relying too heavily on debt to fund your operations or pay expenses. Divide your total sales by average total assets from your company balance sheet. (beginning assets plus ending assets, divided by two) for the same time period. The end result tells you the amount of sales generated for each dollar committed to your assets. The number may not reveal much by itself, but when reviewed over time, you’ll have a better understanding of whether the assets used to run your business are becoming more or less effective. While each ratio may help you analyze different aspects of your business, they don’t tell you the whole story. Finding the right mix of metrics for your scorecard can take some time, but the end result is a valuable tool that can take your business to the next level. If you are not on track to complete your tax return by April 15, you can file an extension to give you until Oct. 15 to file your tax return. Be aware that it is only an extension of time to file — not an extension of time to pay taxes you owe. 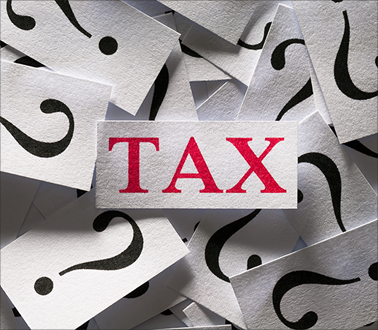 You still need to pay all taxes by April 15 to avoid penalties and interest. So even if you plan to file an extension, a preliminary review of your tax documents is necessary to determine whether or not you need to make a payment when the extension is filed.